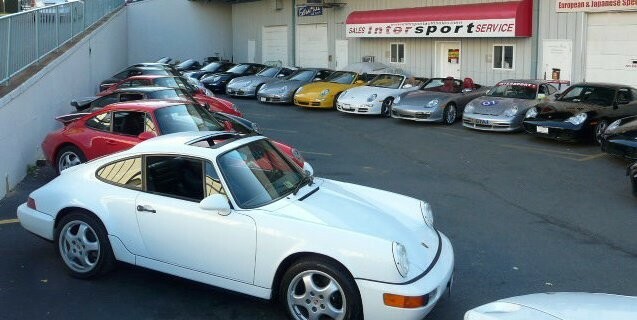 Established in 1991, Intersport Performance has proven to be the premier independent service and sales facilities for all European automobile needs, including Porsche repair, in McLean, VA and the surrounding D.C. area. From scheduled maintenance to complete engine and transmission rebuilds along with motorsports, performance tuning and fabrication, our elite technicians accompanied with state of the art diagnostic equipment are here to provide you with the quality service you expect and deserve. 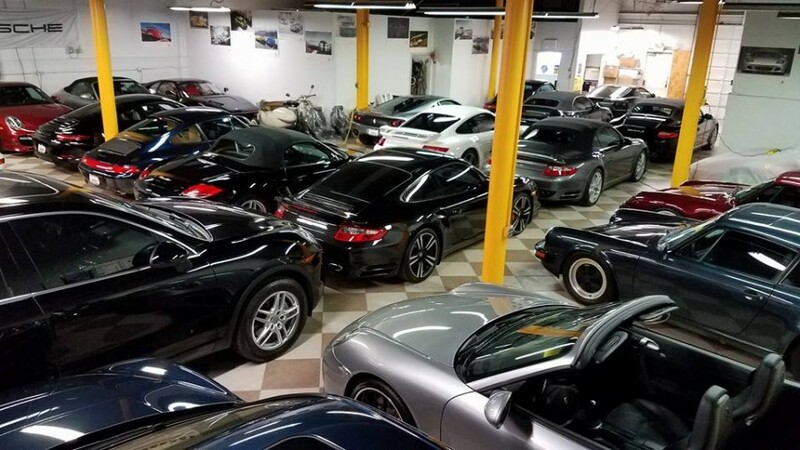 Our sales department is typically stocked with more pre-owned Porsche 911's than most dealers on the east coast!! Carefully selected, our inventory is up to date with scheduled services and ready for you to drive away. Come see us for your next purchase, for any service/repair needs you may have or perhaps preparation for your next race. Our knowledgeable staff is here to serve you and keep your machine on the road for many miles and smiles to come. PLEASE CALL FOR FREE VEHICLE HISTORY REPORT ON ANY OF OUR IN STOCK VEHICLES. I've serviced my 911 Targa and Cayenne with Intersport Performance for many years. They will tell you as much or as little about your car as you wish. I've had a few scares over the years with my car but always feel at ease when I bring it to Intersport. With almost 30 years in business you can bet they've seen just about everything before. When it comes to high precision engineering, knowledge and experience mean everything. These guys really have decades each experience with these cars. When you bring your car in for a complicated repair don't you hope the technician has done it more than a few times already and knows exactly what to do and how. Well this is the shop. This is not a guess, this is a fact. These are not young kids just out of Porsche school, these are guys that have grown with the Porsche brand through the years of engine changes, model changes, air-cooled to water-cooled, etc. You cannot duplicate experience, it's something that grows with you. This shop is passionate about these cars and will do whatever it takes to keep you on the road having fun. Isn't that why you bought a Porsche; TO HAVE FUN. I look forward to many more years of smiles in my cars all thanks to the attention to detail and quality work Intersport does on my precious machines. Godspeed Intersport and thanks for all of your help over the years. 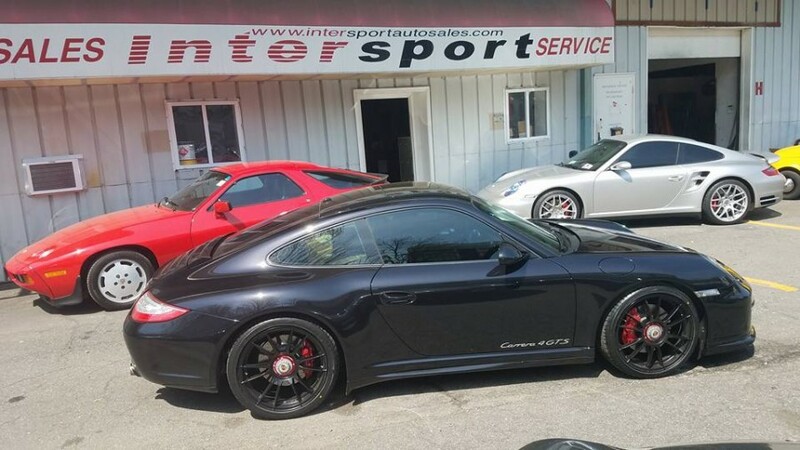 I have brought my Porsche to Charlie and Omar at Intersport Performance a few times for service and to check the car out before tracking the car at Summit Point. These guys are very knowledgeable and honest. I am a classic car restorer by trade, specializing in Austin Healey and old Jaguar XKE. I am not easily impressed by mechanical shops. I was thrilled with their service, follow thru and quality of repairs. I am currently restoring my 1969 911T. Just used Intersport Performance to service my Porsche and my wife's Audi and got the best treatment and the best price. Beats any dealer that I have gone to. Make sure you check out their website for the inventory. What a hidden place! I have been servicing my Porsche with Intersport Performance for the past 2 years and recently bought my wife a Range Rover from them. I have recommended Intersport to a number of my colleagues and they have all been very pleased with the service. Honest and dependable... wouldn't go anywhere else. Best Porsche service and nice guys, beats any dealer that I have gone to.